Traumatic Brain Injury (TBI) refers to a sudden jolt or blow to the brain that disturbs its normal function. These brain injuries can range from very minor concussions, to more severe ones. According to the country’s health protection agency, the Center for Disease Control, about 1.7 billion traumatic injuries occur annually. Of these injuries, approximately 50,000 of them eventually result in death. Even if the traumatic brain injuries aren’t fatal, they can lead to damaged vision, impaired memory, personality changes, and numerous other devastating and permanent effects. In short, traumatic brain Injury is one of the most severe and damaging injuries an individual can sustain. It is far more prevalent than most people realize. There is a wide variation in traumatic brain injury causes and outcomes. Most head injury survivors deal with a number of severe consequences. These injuries not only change their lives forever, but also perceptibly affect the lives of the people around them too. A TBI survivor may struggle with cognitive, emotional, physical, psychological and communicative impairments. He or she may also need years of ongoing rehabilitation, expensive treatment, and assistance. The CDC states that traumatic brain injuries are one of the major causes of permanent disabilities and death in the U.S.
As mentioned at the outset, a traumatic brain injury happens after a sudden force or impact. It can be categorized as ‘closed’ or ‘open,’ based on the nature of that injury. The latter occurs due to a skull fracture from a collision, fall or a similar incident when the head comes into very violent contact with a hard object. On the other hand, a closed head injury doesn’t involve any fracture or open wound. However, it can prove to be severe because it can cause blood clots and swelling in the skull. Vehicle Collisions – Whiplash from a motorcycle, bus or car accident can be detrimental. Vehicle accidents are known to be the #1 cause for TBI-related hospital stays, as well as traumatic brain injury-related deaths. Falls – A large percentage of traumatic brain injuries are caused by falls. This is especially true in the case of older adults and children. For seniors (over 65), falling accounts for 60 percent of traumatic brain injuries. Even falling out of the bed or a slip and fall in the bathroom can be far more dangerous and impactful than one might think. Violence – Domestic violence, gunshot wounds, and child abuse, account for almost 20 percent of TBIs. For example, the shaken-baby syndrome is one of the leading causes of traumatic brain injury in infants. Sports Injury – When you think of TBIs, one of the first things that come to mind are contact sports, such as football, hockey, and Injuries caused by these sports are definitely the most high-profile traumatic brain injuries. But the fact is that they account for about 5 percent of all reported brain injuries. TBI symptoms differ from person to person, and they also tend to change over time. Identifying these symptoms sooner rather than later is crucial to prevent any future damage. Unfortunately, the symptoms aren’t very easy to spot. Sometimes medical exams aren’t flawless either. The medical expenses involved in treating TBI victims can be phenomenally high. Long-term mental and physical changes or disabilities aren’t uncommon. The affected person may not be able to work or function normally. All of these factors can have a major impact on the victim’s quality of life. Getting immediate and expert medical assistance is crucial in all traumatic brain injury cases. Treatment, follow-up, and rehabilitation can drain the injured individual’s resources. Pursuing damages through a traumatic brain injury lawsuit is one of the best ways to ensure that you receive the highest level of medical attention. It will also avoid completely draining all of your financial reserves to pay for treatment. Getting the right medical treatment and legal assistance is also about being aware of what the common brain injury symptoms are. Take immediate action after experiencing a head injury. It is crucial to your health. More often than not, it can mean the difference between living a healthy and full life or an extremely impaired one. Early medical intervention significantly improves the chances of preventing brain damage. Once the brain injury victim has received adequate medical attention, it’s important to contact your Las Vegas brain injury lawyer. 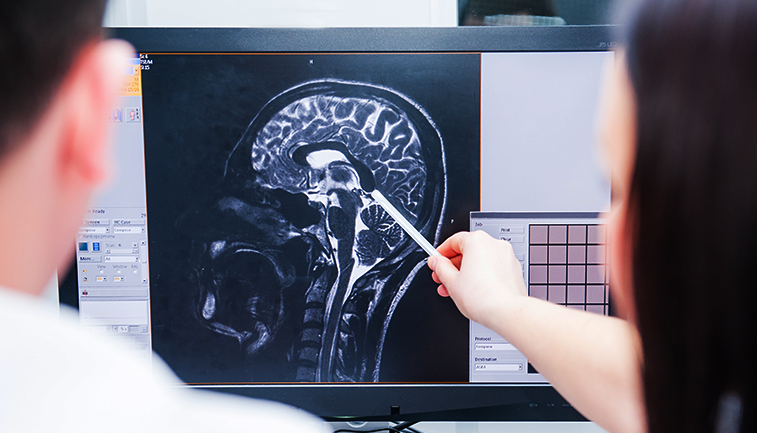 One of our experienced TBI lawyer’s will peruse the medical evaluation results to determine the amount of brain injury compensation the victim might receive from the liable party. The sooner the injury symptoms are detected, the quicker the doctors can provide the medical care the patient needs. 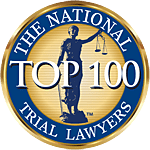 This will also mean that the traumatic brain injury lawyer can start the process of filing the lawsuit to help the victim get the compensation they deserve. We know that the impact of a traumatic brain injury can be extremely devastating. But Titolo Law will fight diligently to secure the best possible outcome in your case. Previous Post Is Inadequate Security a Good Reason to File a Lawsuit?